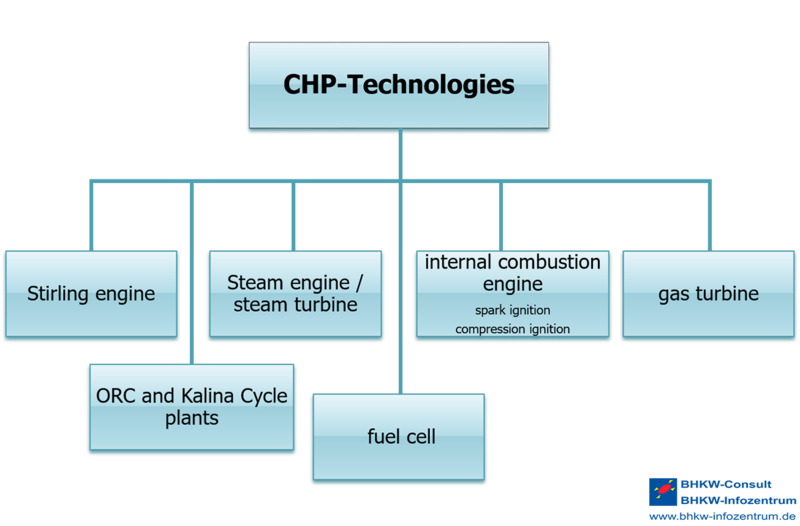 The principle of combined heat and power (CHP) can be realized by a variety of cogeneration technologies. Basically, distinction can be made between the technologies in which the fuel is burned in a burner. 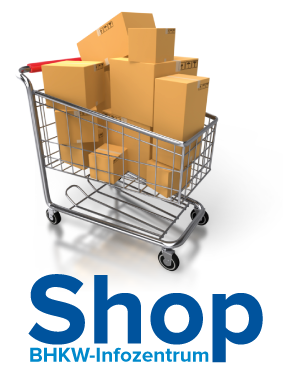 These include Stirling engine, steam engine, steam turbine and ORC and Kalina Cycle system. Internal combustion engines are most commonly used. Internal combustion engines and gas turbines belong to this category, a distinction being made in internal combustion engines between external igniter (petrol engines) and diesel (diesel engines). Fuel cells are also part of the cogeneration technologies, even though they actually do not work according to the cogeneration principle. In fuel cell power is generated electrochemically on a direct path. Strictly speaking this is actually a combined heat and power solution. 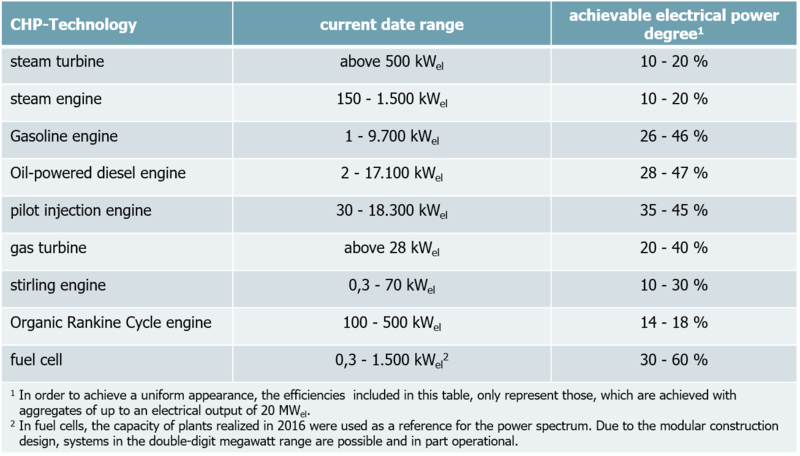 The following table shows current technological data which is currently available and demonstrates cogeneration technologies, the module size only observed up to 20 MW of electrical power.